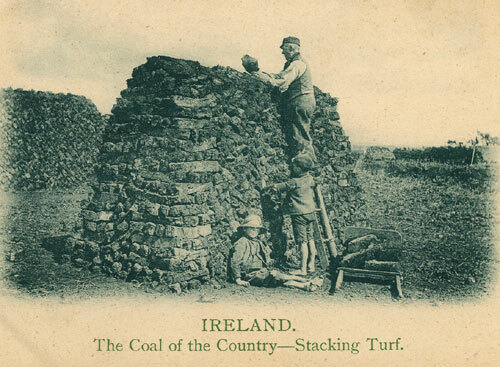 The Font of Knowledge: Irish turf and the second world war. Irish turf and the second world war. The second world war commenced in September 1939. At first there was little hardship in terms of food and other factors of living. 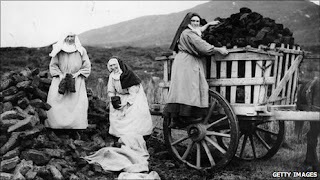 Ireland had a plentiful supply of all our needs at the time but things changed gradually and by the end of the war we were seriously depleted of many of the necessities of life except for food or other matters relating to the countryside. One of these was turf. The country here, particularly within our major central plain is rich with turf and peat which might be described as heavy ancient bog which was useful as a valuable if somewhat low energy source compared to coal or timber. Up to 1946 or so, coal and other high quality fuels had become impossible to find and we were largely dependent on turf for heating and for similar purposes. Turf left a heavy residue which was in itself an inconvenience in its use. Nevertheless most of our trains and ships depended on turf for fuel and continued to do so for another two or three years following the end of the war. 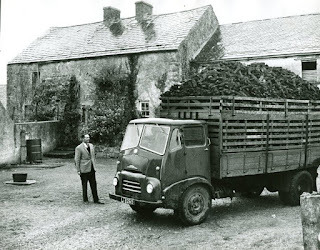 A lorry with its load of turf. I thought it appropriate to refer to some of the difficulties created by turf during these years. We had no means of travel during our holidays except by bicycle. I went for a 10 day holiday to Kerry and Cork and as I was cycling through the main street of Yougal, my ancient bike (which cost £1 previously at a police auction) cracked on the crossbar and made the bike impossible to use. I was isolated with nothing but my two legs to get me the 120 miles back to Dublin. However, at the time turf was made available by contractors who carried the fuel to Dublin and other urban areas for necessary domestic and other needs. 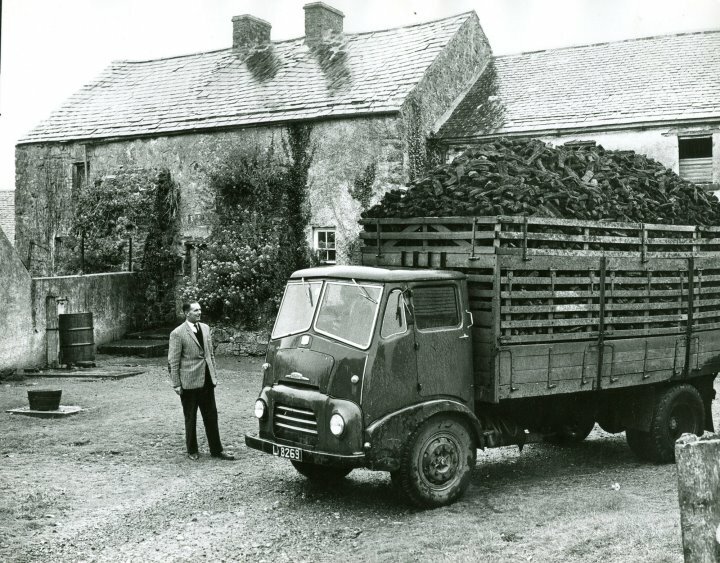 As I walked with my bike from Yougal to Cork I was fortunate to meet one of these lorry’s carrying a load of turf. The driver obliged me by throwing my bike on top of the load and driving me to the train station in Cork. At that time the trains had nothing but turf to run their engines but the turf left such a massive amount of residue that the train had to stop every twenty miles so that the residue could be removed and fresh turf added to the rekindle the boiler. The journey took exactly twenty four hours and here I was with my broken bike and a very empty pocket which allowed me little food and the more desirable pint of Guinness! 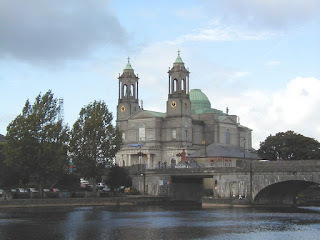 Church of Saints Peter and Paul, Athlone. A few months earlier I and three of my friends from the rowing club spent two days cycling to Galway, a distance of 130 miles. One of my friends on this trip was on his honeymoon. It required two days to get to Galway against a Westerly wind but when we returned home ten days later we reached the 130 miles from the railway station in Galway to the ballast office in Dublin in eleven and a half hours. On this occasion we had of course a strong following wind and the eleven and a half hours included a stop of one hour or more when we climbed the campanile of the new cathedral in Athlone. We arrived in Dublin at 11.30 pm and went straight to the railway station at Westland Row to meet the bride who had taken the train. We waited five hours in the station until she arrived to find four exhausted but nevertheless grateful friends. I spoke about the turf lorries which carried the turf to the urban areas. At the latter end of the war was the turf was stored at various sites in Dublin in large mounds in the Phoenix Park and elsewhere including the five acres of army field beside our house in Rathmines. The mound formed a long line of many tons which was large enough to make a suitable terrace stretching the entire length of the five acre sports field. We were constantly reminded of the arrival of the turf and the packing of it into this large area. Eventually grass grew through the whole mound and I suspect that much of the turf that was borne so laboriously by those special lorries is still there but I expect that much of it has been hidden by nature and the changing environment. 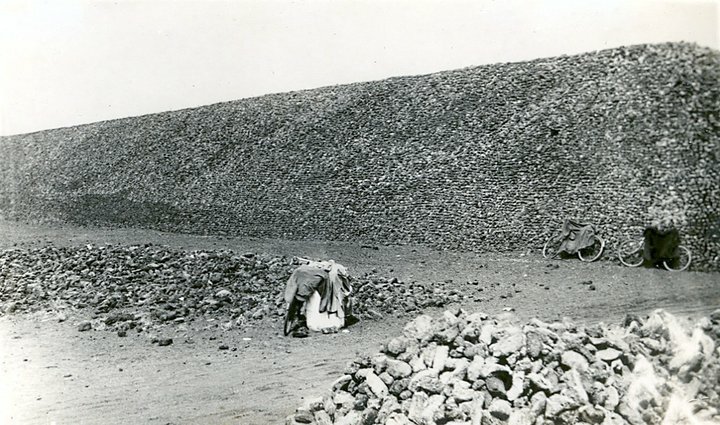 I suspect the turf policy was one of many other wasted policies introduced by our many governments and that the turf we depended on at Lissenfield House was probably used sparingly or replaced by black market coal.